Turkey boasts of a colourful historical timeline, Mediterranean and desert climate, plenty of sun, sea, and sand, nomadic passion, and great cuisine. Therefore camping in Turkey could be a popular travel genre but sadly the Turkish government has never actively promoted this tourism opportunity to the outside world. This coastal site has a direct access to a natural reserve. It is flat and shady with an accommodation facility of up to 15 pitches including tents, caravans, and campervans. It also features 9 rental facilities including bungalows, chalets, and flats. If you are thinking of bringing your pet around then worry you not, because this is a pet friendly site. 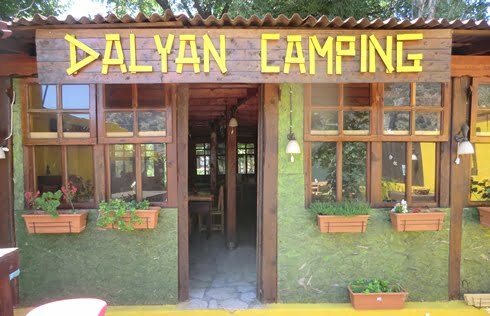 With all possible mod cons ranging from hot showers, shared BBQ, public car park, electric hook ups, fresh drinking water, bars and restaurants, snack bars and take away joints, bicycle rentals, telephone and Internet points, Wi-Fi connection, caravan parking, and credit card accessibility, Dalyan Camping is definitely a campers’ paradise in Turkey. Less than about 20 km from the beach, and with hilly landscapes, this site is comprised of 40 hectares with 50 pitches for tents, caravans, and campervans, 10 rentals including tents and bungalows and is pet friendly too. With a whopping 300 m from sea level in altitude it still provides you with a swimming pool. Besides that it also has free hot showers, public car parking, shared BBQ, hook-ups, fresh drinking water, bar, food shop, telephone, internet, Wi-Fi, and credit card facilities. This place prides itself in several outdoor activities from mountain biking to photography touring, but its most prized activity is archery. As the name suggests it is a forest camping site, and provides you with all the mod cons. It has telephone facility, market and restaurants, laundry facilities, washing facilities, fresh drinking water, hook-ups, and also a buffet. It is also a beach side site and can also provide a caravan tent extra per person if requested. The site however, is only open from April to October. It is located in the Anamur region that is near to Alanya holiday resort. The destination is not popular with foreign tourism. This is another beach side forest camping site. They offer telephone, washing, cooking, hot shower, fresh drinking water, caravan waste water pump, buffet, and market facilities. The site provides both motor caravan and tent caravan electricity and is open from February to mid-December. Apart from the above mentioned list there are several new campsites that are open every year. 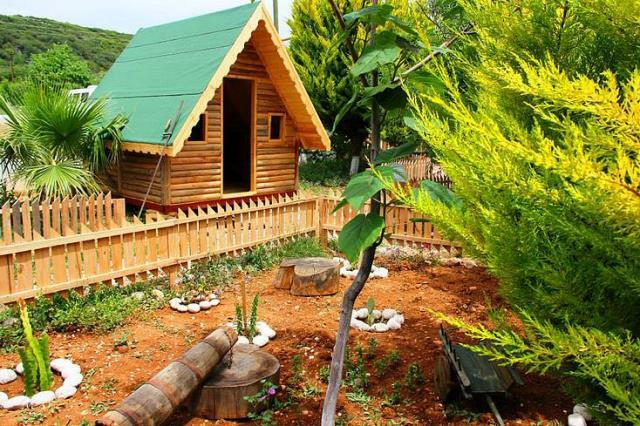 If you are keen on camping in Turkey then do not forget that the peak camping season begins during the mid of the year in the months of July and August. Although the campsites along the Aegean coast are extremely popular and at times busy, the Çanakkale province offers something slightly different.